Anyone for any onions? 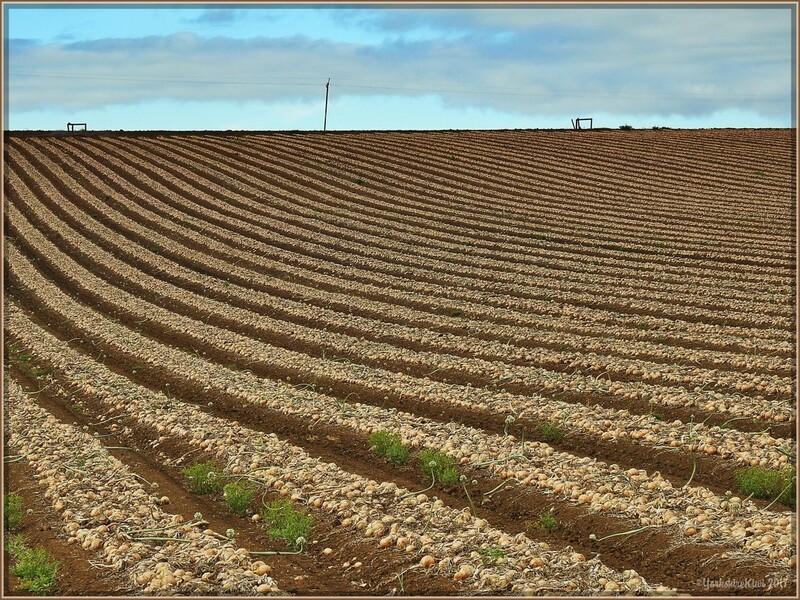 Loved the stripes they made in the fields. The stripes are certainly very effective in this photo. Agreed - they are very effective. Great capture! Great shot. Love the lines. Great lines and plenty onions there.